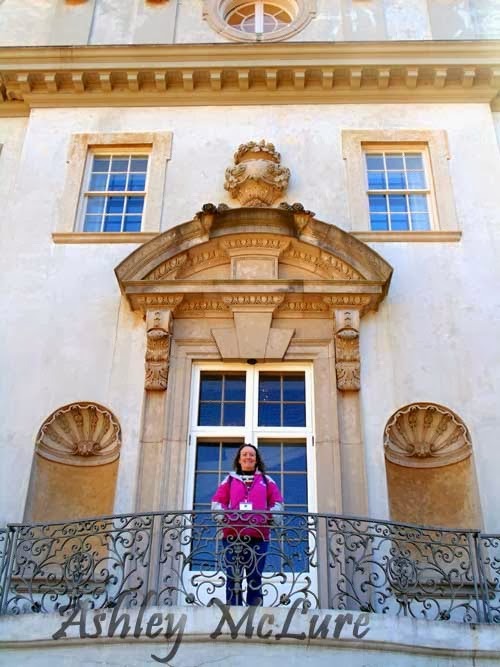 News and Notes from an Atlanta Mom about school, home, life, pets and more. I was invited to go on a tour hosted by The Hunger Games Unofficial Fan Club tour company. It was an opportunity I couldn't pass up given that my daughter and I both thoroughly enjoyed the book series as well as the movies. 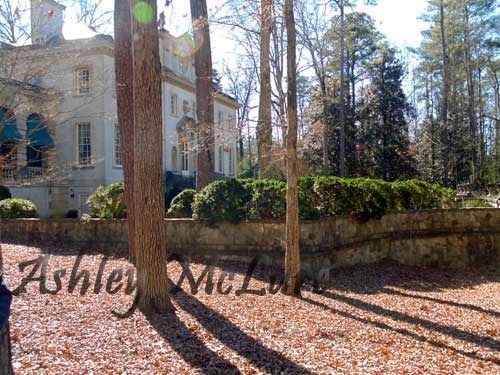 This tour focused on Catching Fire and the sites it was filmed in Atlanta. They are currently filming the 3rd in the series somewhere in Atlanta. We started at a place I didn't know existed. I went to Tech and had no idea it was there. A place called The Goat Farm. It played host to District 12. There were several areas on site that were used at various points. The one below should be recognizable to those that have seen the movie. We played part in several recreations of the movie and had several portions that are no longer there explained and laid out. From District 12 we boarded our "train" and headed to the Capitol and President Snow's mansion. This was somewhere I'd been before, though I'd never been inside. The Swan House at the Atlanta History Center played host to the crew for this part of the movie. The balcony where President Snow greets guests. 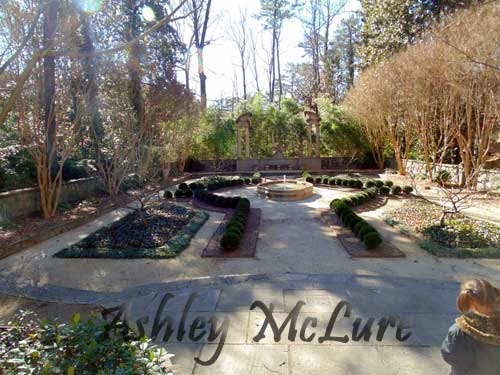 This was the side garden that Katniss & Peeta go to after walking through the house. It was transformed by putting tables over/around the boxwoods and adding water features. 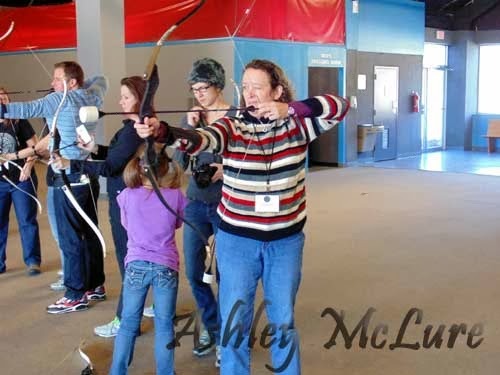 The group had a young lady who acted as Katniss for us so that we could get a feel for what was going on where. I had her stop on the wonderful staircase inside the house for a photo. 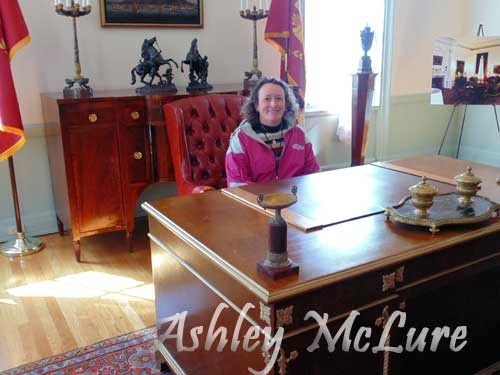 After touring the mansion, we reboarded our "train" and headed south. We were able to tour where the cornucopia was placed and filmed. Some portions of this were actually done in Hawaii, some here. Our Katniss posed on top of one of the tribute podiums from the film. These podiums are heading to a museum in Clayton county where they will be on public display. 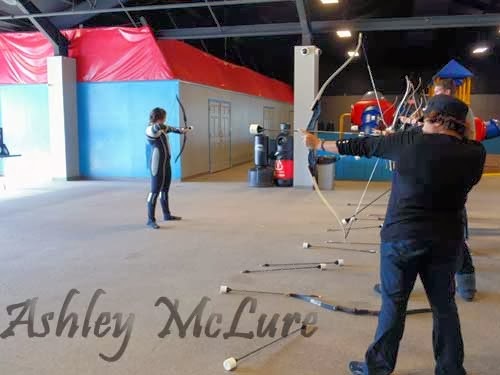 We were given the opportunity to take an archery class and shoot marshmallow tipped arrows. I'd have loved to have done this one for longer, but time was of the essence "TICK TOCK TICK TOCK!" All together a great way to spend the day. 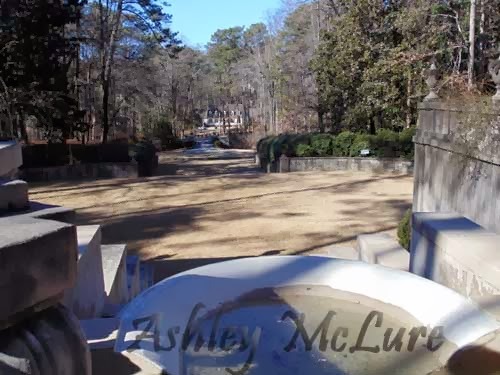 You can take one of their day tours on your own, or if you don't have the time or money, head to the Atlanta History Center. They offer Capitol tours on Saturday from 1-4:30. 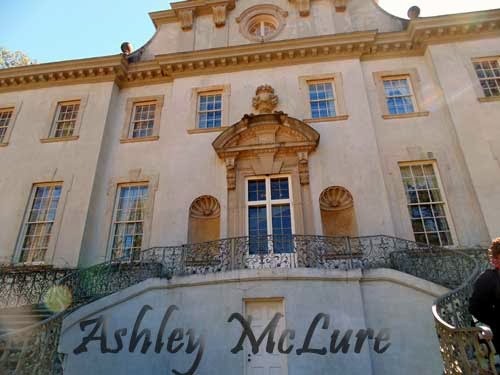 It is an added fee on top of admission, but a GREAT way to see the house and where the movie was filmed. 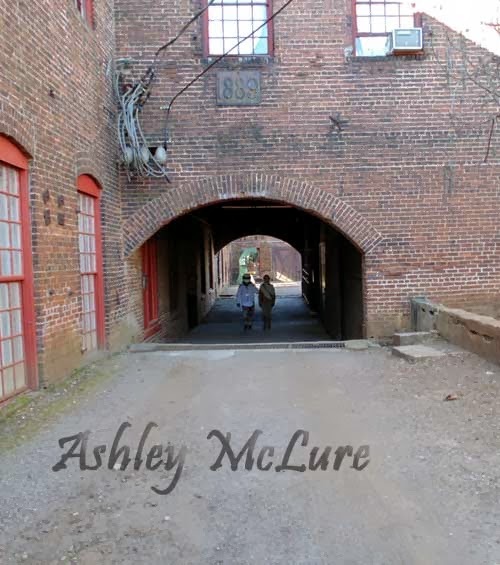 Unofficial Fan Tours is also starting up weekend adventures. You will check in on Friday and finish on Sunday. Once in, you're a Tribute. You'll compete in your own Games Sunday before you leave. It sounds like an absolute BLAST. Those start this spring. You can also find the group on facebook. If you're keen on authentic keepsakes, check out this shop on Etsy. This wasn't part of the tour, but was a cool bit of information that I found out while there.